Spring is here and that calls for some Egg-Citement! 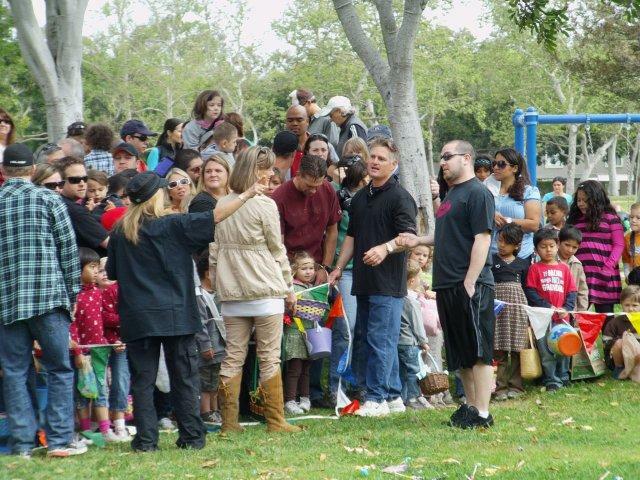 Our annual Easter celebration for Costa Mesa will take place on Saturday, April 3 over at Tanager Park. This is the perfect event for the whole family to enjoy. The main activity is the Easter egg hunt that starts at 10am. There’s also going to be train rides, pony rides, a petting zoo, and face painting. We’re also thrilled that the Estancia High School Cheer Squad will be in attendance to add spirit and sell refreshments. And don’t miss a special appearance from the guest of honor – the Easter Bunny! 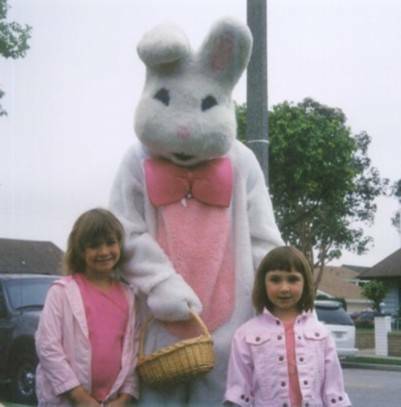 Former Egg-Citement with the guest of honor - the Easter Bunny! We love being a part of Costa Mesa and hosting fun events for the community is something Torelli Realty looks forward to presenting year after year. This is also a wonderful opportunity to support our local schools and Boosters. Come on out and join your neighbors in the fun – we hope to see you there! -Our company successfully collected items for the Spark of Love toy drive and the Costa Mesa Firefighters Association Operation Santa Letter Program. Spark of Love is a toy campaign that collects toys for disadvantaged children in the community. 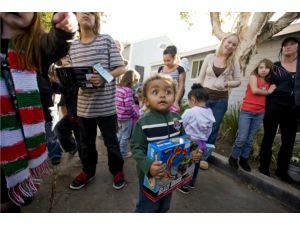 The Operation Santa Letter Program, as reported by the OC Register, gave away toys and basic necessities on Christmas Eve to a women’s shelter and needy children and local residents who are staying in a local motel. The program was started by firefighter paramedic Todd Palombo eight years ago and involves children writing letters to Santa. –The OC Register wrote about a group called “Senior Smiles, Moms and Tots,” which caters to lonely seniors. Mothers and their young children met with local seniors to spread some holiday sunshine. 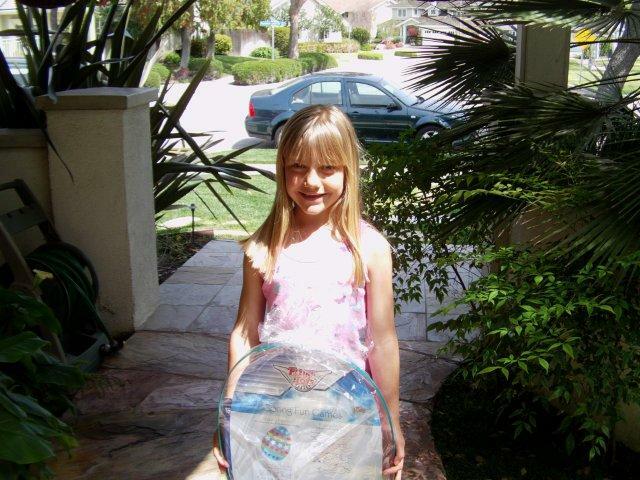 The group was started by Costa Mesa resident Jennifer Fairchild. Yes, the holiday spirit lives on in Costa Mesa and that makes our community a special place all year long. –The OC Register ran a piece about how 6th graders from Adams Elementary School went to Target to perform random acts of kindness. They randomly distributed $25 gift cards and motivated people to pay it forward by doing nice things for 3 other people. -The Daily Pilot reported that Christ Lutheran School’s 4th-grade girl scout Troop 1461 gathered 117 winter coats to warm up those in need. The donations went to local nonprofit Share Our Selves, which does so much to provide necessities to people in the area. Also, the chapel took up a collection from students that will purchase for grocery store gift cards, which will be a blessing to local families. -The same Daily Pilot article also noted that students at Mariners Christian School made shoe boxes with gifts for children all around the world as part of a program called Operation Christmas Child, which is run by nonprofit Samaritan’s Purse. This holiday season approximately 300 children will receive gifts! Our children are representing the town in such a great way and are a source of pride for Costa Mesa. Thank you students & happy holidays! Yes it was disappointing to wake up to rain on Saturday, Dec. 12, 2009, the day we had set for Snow Land… But a little rain can’t wipe away our holiday spirit! First off, we are still holding the toy and food collection and asking people to drop off items at our office at 2845 Mesa Verde Dr. East in Costa Mesa. 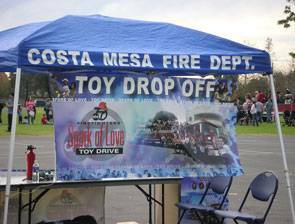 The toys that are collected will be donated to Spark of Love and the Costa Mesa Firefighters Association Operation Santa Letter Program. Food donations of non-perishable canned food are also welcome. These items will be given to the organization Share Our Selves, a Costa Mesa based organization that provides free assistance to those in need. And for the kids (and adults too!) who were looking forward to some playtime, we are offering people a chance to come by Torelli Realty to decorate cookies from 12/14-12/23 during business hours. Holiday cheer is still alive and well in Costa Mesa and we look forward to making next year’s Snow Land better than ever! Costa Mesa is very fortunate to have many local events – a person should never be bored here, that’s for sure! Crowds were out in full force at the Christmas “Under the Stars” Festival that The Piecemakers Country Store hosted last weekend. The vendors are grateful for all the business and their crafts were sensational. Piecemakers carolers, a band and Swing Shaft provided entertainment, which kept the mood festive. 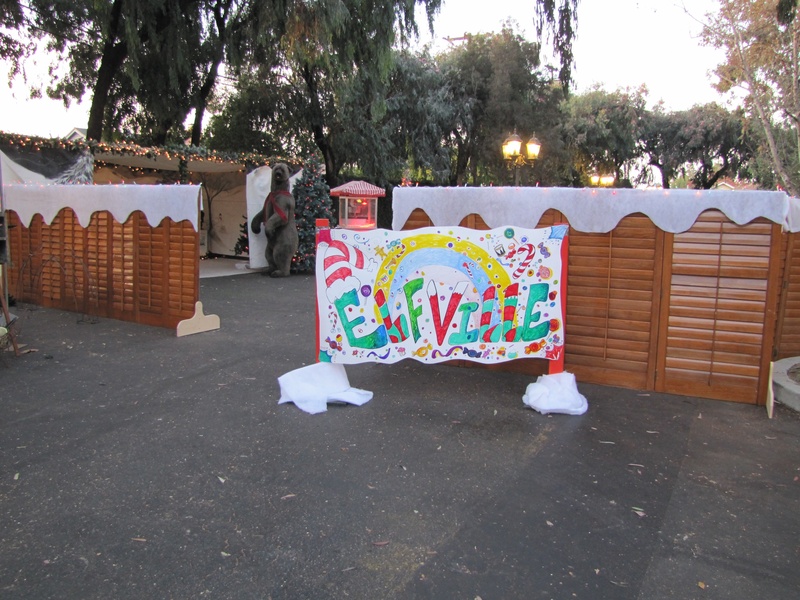 Even the children had their own area dubbed Elfville. “The look on the kid’s faces as they received the present that they fished for down Santa’s chimney was priceless,” said Joanna and Deborah, owners of the store. Add to that some great food (especially the chicken) and it’s clear that fun was had by all who attended. Since our business is located in the same complex as The Piecemakers Country Store we get to witness firsthand all of their efforts in the community. Don’t worry, Piecemakers isn’t planning on slowing down this holiday season. 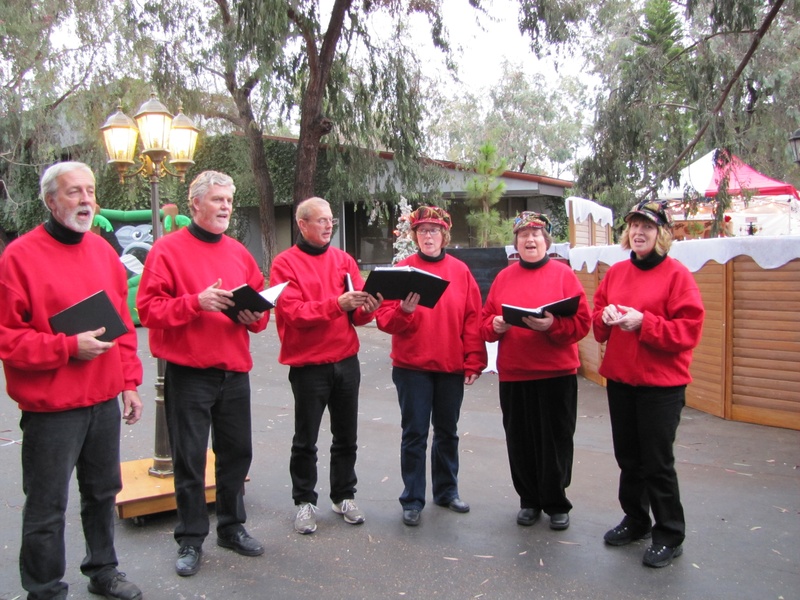 Costa Mesa residents still have a chance to experience the joy of these events. There’s a list of several more attractions coming up this month on their website. One that’s worth highlighting is the Horse Drawn Hayride and Christmas Caroling events they are sponsoring on Dec. 18 and Dec. 20 at 6 p.m. and 7 p.m. Participants will have the chance to ride on a horse drawn wagon and go caroling around the Mesa Verde neighborhood. It costs $10 per person and they recommend signing up early because seating is very limited. 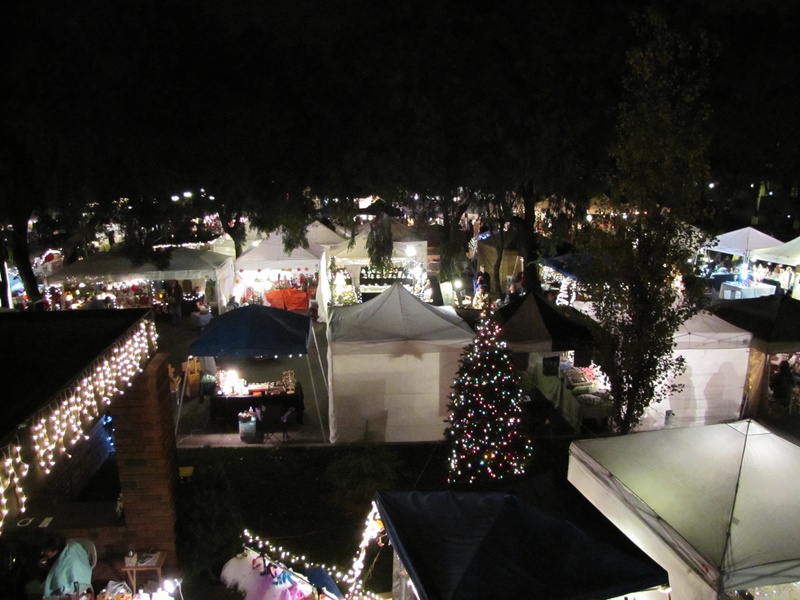 Between Piecemakers’ events and our annual Snow Land, Costa Mesa residents are sure to be in the holiday spirit! Costa Mesa is full of people with big hearts. Take a look at Corey Donaldson with $40K in 40 Days. There will be a $40K in 40 Days Happy Hour Fundraiser at Woody’s in Newport Beach on Wed., December 9. Attendees can participate in a silent auction. A $20 entrance donation is kindly suggested. Donations received by December 10 will be matched up to $10,000 by an anonymous donor. However, donations will be accepted until Dec. 20, which is the last of the 40 days. This is not an impossible feat by any means; last year Donaldson raised $30K in 30 days for the soup kitchen. According to Donaldson’s blog, the fundraiser was up to $19,200 as of December 4 and donations were rolling in… So keep them coming! Donations can be made through paypal or check on Donaldson’s website. Donaldson’s goal was featured in The Daily Pilot, which serves Newport Beach and Costa Mesa. Someone Cares Soup Kitchen doesn’t only help people in need from Costa Mesa; those from Newport Beach, Irvine, and Laguna Beach also benefit from their services. 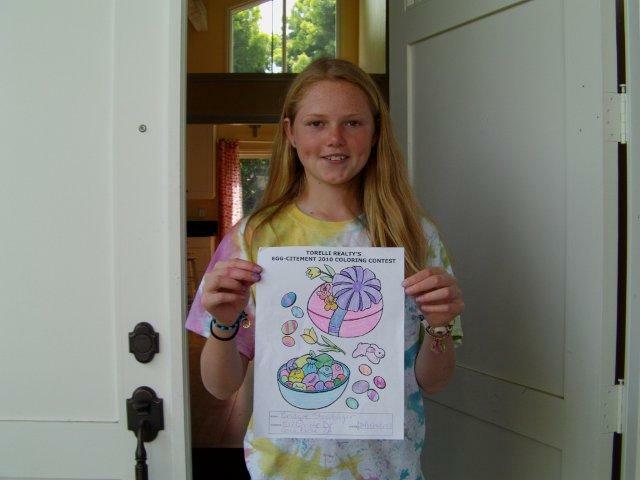 The soup kitchen also provides tutoring for at-risk kids. The current state of the economy has led more people than ever to the doors of Someone Cares and Donaldson is determined to make sure that the funding is there to meet those needs. Costa Mesa truly prospers as a community from such kind hearts.